AAGHAAZ WELFARE ASSOCIATION FOR RELIEF AND ENCOURAGEMENT is located in meerut Uttar Pradesh . AAGHAAZ WELFARE ASSOCIATION FOR RELIEF AND ENCOURAGEMENT is registered as a Society at meerut of state Uttar Pradesh with Ngo unique registration ID 'UP/2009/0011901' . 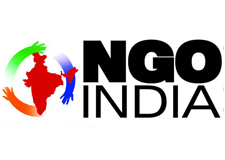 The NGO registration is done by Registrar of Societies with registration number 298 on the date of 28-06-2007, Its parent ORganaisation is PaulFoundation. The Chairman of AAGHAAZ WELFARE ASSOCIATION FOR RELIEF AND ENCOURAGEMENT is tripti dhillon and Chief functionary officer is tripti dhillon. 1)successful in generating health awareness among women & children in rural areas like precautions must be taken for infants,importance of cleanliness and many other health related issues. 2)raising voice against the eating habits of junk foods among children in schools. 3)running training schools for women in a village with an objective of self employment so that women can earn and have better understanding towards nurturing their children. 4)sessions held on stoppage of polythene bags with school children with a view to keep our enviornment clean & healthy. 5)conducting various levels of competitions in school children on enviornment with an objective to tell them more its importance & how to save. 6)survey done in few rural areas to find the number of children deprived from education and their reasons and sufficient efforts has been put to increase the literacy level in children. 7)working to eradicate child labour in society.